Now that Google is delving even deeper into artificial intelligence, the minds behind “Don’t be evil” might face real questions of right and wrong. This week the Mountain View search titan snatched up DeepMind, which develops artificial intelligence software. The price tag and the specifics of the deal remain unclear, but Google will set up an ethics board to oversee DeepMind’s artificial intelligence projects, according to the Information website. 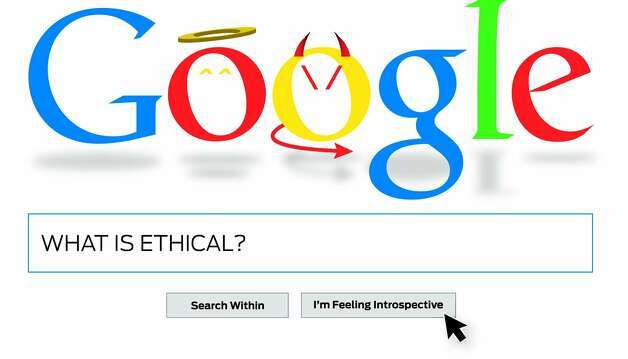 via As artificial intelligence grows, so do ethical concerns – SFGate. I was pleasantly surprised by this article. I feared it might be about AI revolt concerns, which, as I’ve written about before, are largely imaginary. But instead it is about concerns of what AI might be used for, with topics ranging from making the kill decisions with drones, to deciding how invasive to get into people’s lives for marketing purposes. No doubt the ethics boards are good public relations for Google, but having the board will be an excellent sanity check on what scientists and engineers might come up with. I just hope the boards of this type have some sway when the inevitable conflict comes up between privacy and corporate profits. This entry was posted in Zeitgeist and tagged Artificial intelligence, DeepMind, Demis Hassabis, ethical concerns, Facebook, Google, Kazaa, LinkedIn, London. Bookmark the permalink.